As Alan Kennedy walks into the room it is impossible not to be impressed. Not simply because of his honours list - five league titles, four League Cups, three Charity Shields and, most notably, two European Cups - but also because he still looks supremely fit for someone who is in his fifties. "I'm going for a jog later on," he says, explaining why he’s wearing a tracksuit, before adding that he has "to stay fit just in case Rafa Benitez gives me a call!" It immediately transpires that Kennedy has a talent for putting people at ease. Something of a necessity, you might add, for a man whose visits to Anfield these days are in the role of a corporate hospitality guest. “I need to work to earn a living,” he tells me later. As if to prove his credentials as an after dinner speaker, he quickly starts firing the sort of anecdotes that fans lap up. “Bob Paisley knew my family as he was from the same village as my mother. In fact, he used to buy his fish and chips from her shop. So he knew that he was signing someone who was coming from a good background and a hard worker,” he says, providing a glimpse back to an era when football business was done in a manner that seems completely alien today. 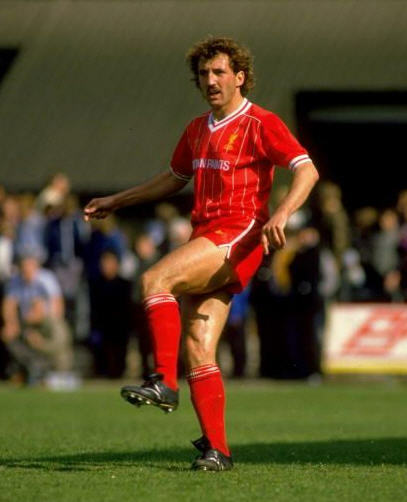 Paisley’s prediction, however, did come true and Kennedy did play for England albeit only twice - Kenny Sansom had made the role his – but his success at a club level more than made up for any disappointment this might have given rise to. And learn he did, as he nailed down the left-back slot for the coming seven years. “In our first season, we let in sixteen goals,” he says, more matter-of-fact-idly than out of vanity. Three years later he was handed the responsibility of taking Liverpool’s final penalty against Roma. Kennedy confirms with a laugh that he had been terrible when taking penalties during training earlier in the week but that hadn’t deterred him from stepping forward to take the kick, an often undervalued but critical element in such high pressure moments. 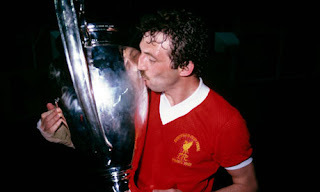 A year later, Liverpool and Kennedy were once again in the final of the European Cup. Sadly that ended in the tragedy at Heysel, a dark night in the club’s history. One of the sad side-effects of that tragedy is that it completely overshadowed the departure of the long-serving Joe Fagan. With that, he sets off for his jog. It is only at this point that passing comment that he “still want that time again, I still play football” starts to feel that his earlier comment about being ready for a possible call by Rafa Benitez was said only partially in jest. This article appeared in Issue 1 of the magazine, Well Red.